Step inside and bow down; it's time to Worship! Foxglove Productions exposes you to the mesmerising fusion of cabaret and performance art. 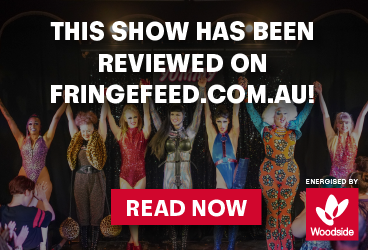 A FRINGE WORLD premiere, Worship features a provokingly feverish cast of West Australian burlesque, circus and drag performers! Worship beckons you to witness the dark corners of idolization and the all consuming blinding lights of self adoration. This surreal world of performance art will move you to the edge of your seat and knock you down onto your knees. We're here to test you, to open up your minds and ask you . . who do you worship? West Australian Burlesque and Performance Artist, Essie Foxglove is the creative force behind Foxglove Productions. “A finely tuned, conceptual artist, She’s a total package. Art is Essie and Essie is Art.” Out in Perth, 2018. Coming off the back of Co-Producing and starring in Obscura at the 2018 FRINGE WORLD, Essie Foxglove is bringing you a brand new show that is equally mind blowing as it is conceptually enthralling. Foxglove Productions and the one of a kind performers of Worship will bring you to a moment in time you never thought existed and won’t be able to forget.